Within 250 miles of Paris, KY.
Is your swimmer’s butterfly and breaststroke as fast as it could be?! At this high performance swim clinic, Olympic gold medalist Claire Donahue will teach each participant how to maximize their speed and power in both butterfly and breaststroke! Practice drills, watch our elite clinician, get HANDS ON FEEDBACK, and learn what it takes to race FASTER and drop time! Claire will teach at 2 sessions designed for all swimmers looking to DROP TIME in both butterfly and breaststroke! 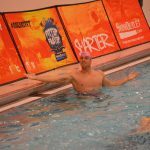 Butterfly and breaststroke are often the hardest drills to perform correctly! Sign up your swimmer to learn new drills, watch them demonstrated perfectly, and get hands on feedback from Olympic gold medalist Claire Donahue! She will help your swimmer learn what it takes to take their fly and breast to the next level so that they can drop time! Butterfly: Butterfly does NOT have to be the hardest stroke. As an Olympian, Claire knows the key components to swimming an efficient butterfly stroke. Claire will teach her favorite drills and exercises to help each participant find an efficient butterfly pull, powerful kicks, and a well timed breath. She has perfected her form to become the fastest in the world and now she wants to help you race FASTER BUTTERFLY! Breaststroke: Breaststroke is the most challenging stroke to master. 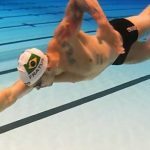 The technique in breaststroke requires an efficient pull, a powerful kick, proper timing, and an aggressive attack forward each stroke. Claire will help each participant understand what perfect form feels like and she will also teach them drills and exercises to practice these skills. Take your strokes to top speed and get your heart rate up with Claire Donahue. Hold on to your form as long as possible to put your new skills to the test. Take a photo while wearing Claire's medals, get autographs, and receive a special gift from our sponsors!